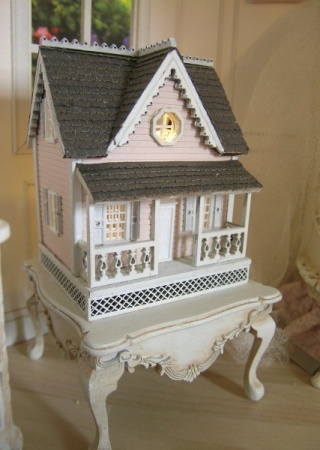 My first doll house. I loved making this and enjoy showing it to family and friend. This little gem took a bit of time to make. I found the instructions perfect for a beginner. The details are amazing!!!!! It is worth the cost of this project and I learned so much in the process. It is an heirloom piece.